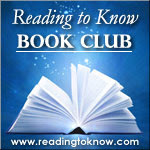 If you either started reading or (gloriously!) finished reading the book, please write up your post sharing your thoughts and link your post in the comment section. If you do not have a blog but want to comment on the read, we welcome you to do so! Join in and share your thoughts below! This post will remain up as-is, so you can feel free to link your thoughts up in the comment section at any time. Sky kindly wrote up some thoughts to share of the book but then we both read my friend Tim's post about this book over on his site, Diary of an Autodidact and we agreed to just point you off in his direction. Tim makes the statement early on in his review that, "We as a culture have forgotten how to think." Reading his complete thoughts encouraged me to keep pressing on through this book and wrestle with the hard thoughts and arguments which are presented within the pages of Beyond Opinion. We have forgotten how to think and we don't like being forced to do it. I have forgotten how to think and I don't like being forced to do it. But if I do not exercise my brain and wrestle with these very issues then my faith will be weakened and watered down. And what, then, will I be passing down to my children? I'm going to finish this book and I not only invite you to do so, but I encourage you to do so. For your own good. Even if it is hard. Again, check out Tim's post HERE. Link and/or share your thoughts below in the comment section and we'll get this conversation started! Whew! I am blessedly close to the end, but this week I've had neither the time nor the mental fortitude or capacity to work through it. It is a fabulous read but one better done in small bites, I think. I hope to have my thoughts up ASAP. I do think apologetics is an important subject and I've read a lot of Josh McDowell. I just think if it's written on a certain level it's going to be missed by some of the people who need it most. I will finish the book this weekend. I will need every day possible to read it!! Looking forward to Tim's thoughts. I haven't finished this book yet either, but I am still working through it. 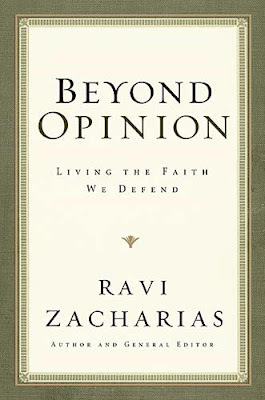 "Beyond Opinion" does provide a thought-provoking read. Anyway...after reading all the posts on this, I'm both intrigued and intimidated and can't WAIT to start it. I'll still be doing the book club, but have nothing to contribute on this one....yet. Hard reads are, well, hard, but also good for the brain and for the faith, even better when interspersed with less-than-hard reads. Kudos to you for persevering! Well...I finished it!! And put together a few sentences about it. Still working through posts! So far the chapter that seems to have caught the most attention amongst the moms is the one on youth and apologetics. Stephanie S. drew out quite a few quotes and points to ponder that I'm pretty sure could make up their own post. And Annette did an awesome job explaining why the book was of value to her. Still reading posts and thinking through this. Mostly I'm thinking that this is a book I'm going to want to linger on through the year. I haven't had a chance to read this book, but I really want to. I haven't actually read any of Ravi Z's books, but I listen to his podcast and I love hearing him speak. I'm with you and Sky--haven't finished it yet! That said, I have a really good excuse (moving to a different state with a family of seven in the middle of homeschooling--surely that's a good enough excuse, right?! giggle) and I am right at halfway through it. I think it is very, VERY good. A couple of the chapters I have read twice because there is just so much packed into them, and I keep bugging my hubby with a "ooooh, this is good, listen to this" prefacing a reading.